Surgical care is critical to establish effective healthcare systems in low- and middle-income countries, yet the unmet need for surgical conditions is as high as 65% in Ugandan children. Financial burden and geographical distance are common barriers to help-seeking in adult populations and are unmeasured in the pediatric population. 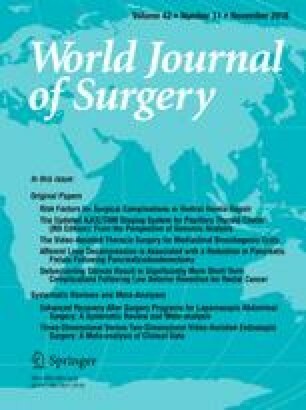 We thus measured out-of-pocket (OOP) expenses and distance traveled for pediatric surgical care in a tertiary hospital in Mbarara, Uganda, as compared to adult surgical and pediatric medical patients. Patients admitted to pediatric surgical (n = 20), pediatric medical (n = 18) and adult surgical (n = 18) wards were interviewed upon discharge over a period of 3 weeks. Patient and caregiver-reported expenses incurred for the present illness included prior/future care needed, and travel distance/cost. The prevalence of catastrophic expenses (≥10% of annual income) was calculated and spending patterns compared between wards. Thirty-five percent of pediatric medical patients, 45% of pediatric surgical patients and 55% of adult surgical patients incurred catastrophic expenses. Pediatric surgical patients paid more for their current treatment (p < 0.01)—specifically medications (p < 0.01) and tests (p < 0.01)—than pediatric medical patients, and comparable costs to adults. Adult patients paid more for treatment prior to the hospital (p = 0.04) and miscellaneous expenses (e.g., food while admitted) (p = 0.02). Patients in all wards traveled comparable distances. Seeking healthcare at a publicly funded hospital is financially catastrophic for almost half of patients. Out-of-stock supplies and broken equipment make surgical care particularly vulnerable to OOP expenses because analgesics, anaesthesia and preoperative imaging are prerequisites to care. The online version of this article ( https://doi.org/10.1007/s00268-018-4691-x) contains supplementary material, which is available to authorized users. Dr. Yousef and Dr. St-Louis received financial support for this work by the Fondation de Recherche Québec - Santé. Dr. Yousef received financial support from the Canadian Institute for Health Research. Funding was provided by Global Health Student Bursary, Faculty of Medicine, McGill University.